I noticed this a couple of days ago through an article on Techcrunch. Yahoo! started doing some testing on integrating the Delicious results into their search results, and I like it. It seems like for now the Delicious rank has no impact on the search results (although that might obviously be next), but still this shows some extra value to the search results. 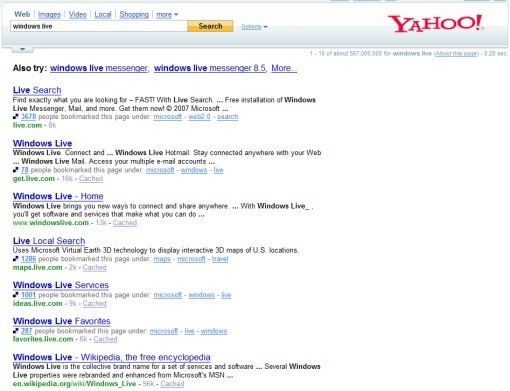 Here’s an example of a Yahoo! search on the query Windows Live. That way I still got Windows Live in here somehow ;) Anyway, I like it Yahoo!